Published By – Bewley Bros.
℗ 1994 Raincloud Productions Ltd. under exclusive licence to EMI Records Ltd.
© 1994 Raincloud Productions Ltd.
Digital remasters. ℗ 1994 The copyright in this sound recording is owned by Raincloud Productions Ltd. except 'Under Pressure' Raincloud Productions Ltd. / David R. Jones / Mainman S.A. 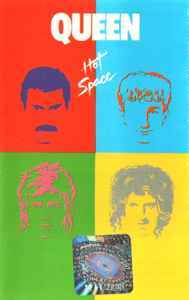 Published by Queen Music Ltd. / EMI Music Publishing Ltd. except 'Under Pressure' Queen Music Ltd. / EMI Music Publishing Ltd. / Bewley Bros. / Mainman S.A. / MCPS.